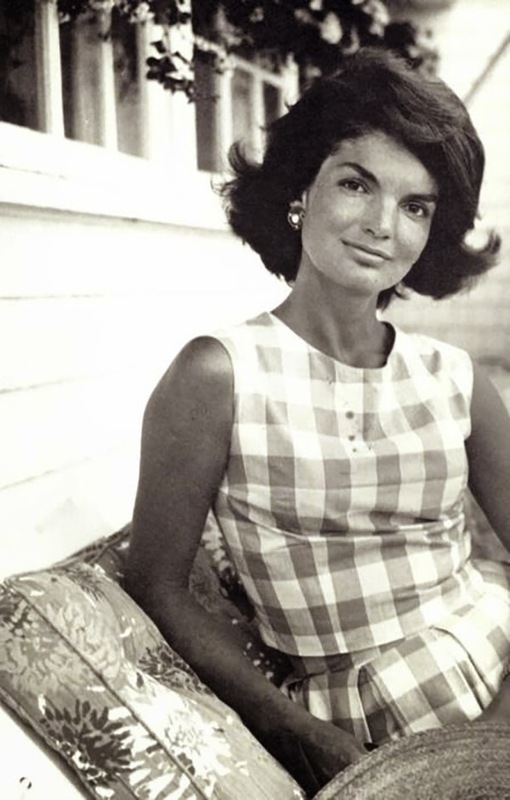 Always classic gingham was front and center on the Spring '15 runways, from Oscar de la Renta to Altuzarra to Michael Kors. Only this time around, it's been freshened up with modern silhouettes, plays on scale and creative layering. I love that even when styled with an edgy twist, gingham still retains its sweetness. Its retro vibe evokes idyllic images of all-American picnics and vacationing on the French Riviera-- perfect for springtime! My favorite way to keep it from feeling too sweet is by pairing a gingham skirt or short with a menswear-inspired white shirt, or a gingham shirt with jeans and loafers. So far this trend hasn't exploded as much as expected, so my guess is that we'll continue to see it grow in the following seasons, hopefully making its way into home interiors as well. 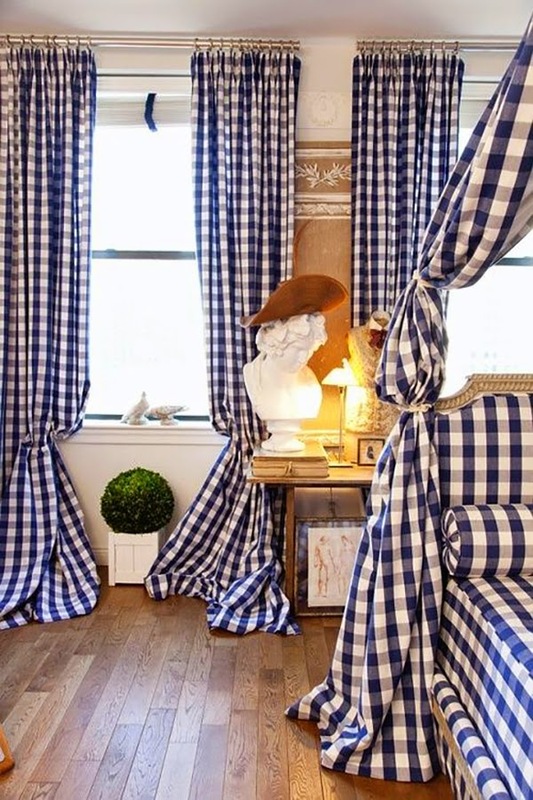 I'm totally inspired by the bedroom shown below and would love to introduce a smaller dose of gingham into our house, like some dining room napkins, an accent chair for the living room, or a laundry room window treatment.